Should Businesses Turn to Convertible Preferred Stocks in Raising Their Capital? When you are thinking of expanding your business, your first concern is how to secure the funding you need to turn that vision into reality. There are many ways to raise your capital and one of this is by using convertible preferred stock offerings. A convertible preferred stock refers to a type of preferred stock that allows the holder to turn shares into common shares but on a fixed number. Simply put, it is like a stock that acts like a bond. There are advantages in using convertible preferred stock in growing your company. They don't have cumulative divided and they don't have a stated maturity. The holder has the right to tailor the preferred stock characteristics based on what makes sense for the business. When you are looking at other options, you can look at Eurasian Capital’s long-term and short-term financing. We are a financial network aiming to help managers and owners achieve their financial, operating, and liquidity goals. These kinds of stock offerings are usually offered by thrift holding companies and community banks. Get in touch with the companies and see if you are eligible for their financing services. These finance networks obviously prefer profitable companies possessing trajectory technologies. The company needs to have the capability to improve their growth by enhancing their financial performance. The first thing to check is the company's eligibility to issue convertible preferred stock. There is a big advantage in getting the convertible preferred from an established bank or finance company. With a trusted finance network, there are possibilities for capital gains and you can expect several issues of preferred stock. The company should be able to help you meet your goals by setting operating objectives with your management. We aim to align ourselves with businesses that are capable of creating and sustaining their market position through superior products and services. The company ought to have top-quality cost structures. It is important that the company offers many opportunities for growth. Part of it is having predictable cash flow. We also look at the proprietary skills of the employees before making the final decision. Your company should have a valuable franchise and a leading position in the market to qualify. Aside from the employees themselves, it matters that those on the higher positions are dedicated to taking the necessary steps for improvement. Weigh the pros and cons first before thinking of raising your capital through convertible preferred stocks. One of the disadvantages of convertible preferred is that they don't grow at a similar rate as common stock. It’s important to understand the terms of a convertible preferred stock before considering it as an option. 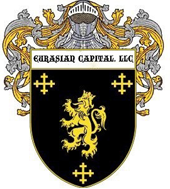 For guidance on financing your business expansion, contact Eurasian Capital today. Call us at 917.790.1484 or send your queries at eurasiancapital@eurasiancapital.com.